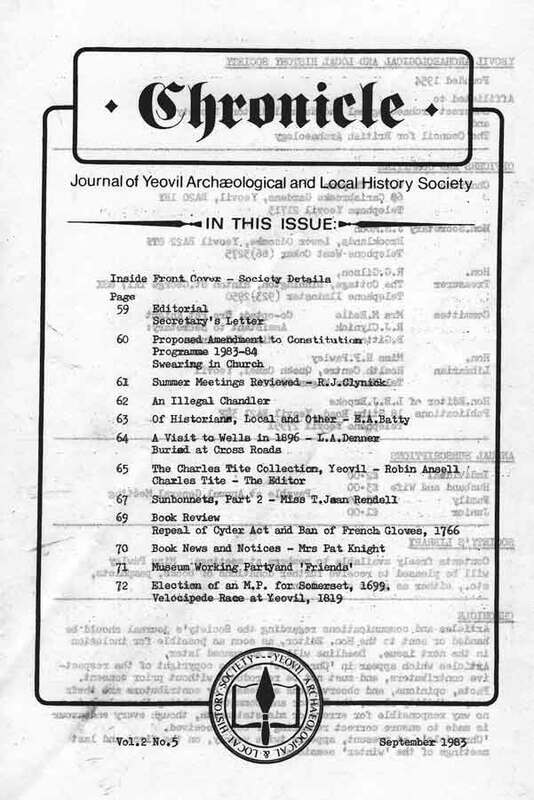 McGarvie, Michael : FROME STREET AND PLACE NAMES Their Origin and Meaning : Frome Society for Local Study (Frome Historical Research Group, Occasional Papers No.3) : 1983 : £2-00. This is an excellent example of the work being carried out by members of the Frome Society for Local Study, each page is packed with information and augmented with eleven illustrations in the text, a double-page centre spread containing a plan of Frome as it was in 1774, and the cover contains a 1954 aerial view of the town showing how Bath Street, laid out between 1610 and 1813, cut through congested houses and narrow lanes of the old town, while on the back is a map of Frome and its surrounding area, reproduced from Greenwood’s 1822 survey of the county of Somerset. This is a valuable addition to publications on local place-names, and will repay close study by those contemplating similar work for other towns in the county (and elsewhere), besides making entertaining reading for those who are curious about the way street names are evolved. Frome is blessed with many an unusual designation, the oldest being Friggle Street, which was possibly the street of the free(men). The name Adderwell, which is considered may be ‘the spring of the princes’, is similar in sound to Addlewell, close to Yeovil’s Ninesprings. Among the more romantic place names is Helliker’s Grave, which marks the spot of a suicide’s burial, while Murtry seems also to have been a burial place – a corruption of ‘mortuary’. But the reader must discover for himself the wealth of equally fascinating stories contained in this well researched and, considering today’s publishing costs, modestly-priced, 44pp booklet. 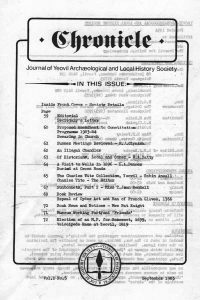 There is a very clear index, together with a list of sources, including maps, and a bibliography.